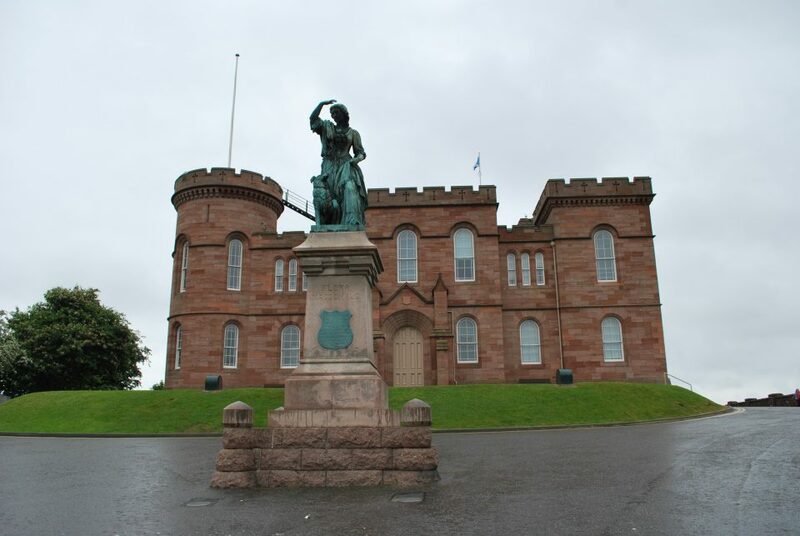 A day exploring the Scottish Highland city of Inverness to see the city centre and Inverness Castle. After the excess of travelling over the last two days, we decided to have a bit of a quieter day today. So we just made the short trip up the A82 to Inverness. The nice weather that we have enjoyed recently, disappeared today and a drizzle moved in. The road signs on entry to Inverness proclaim it as the capital of the Highlands. 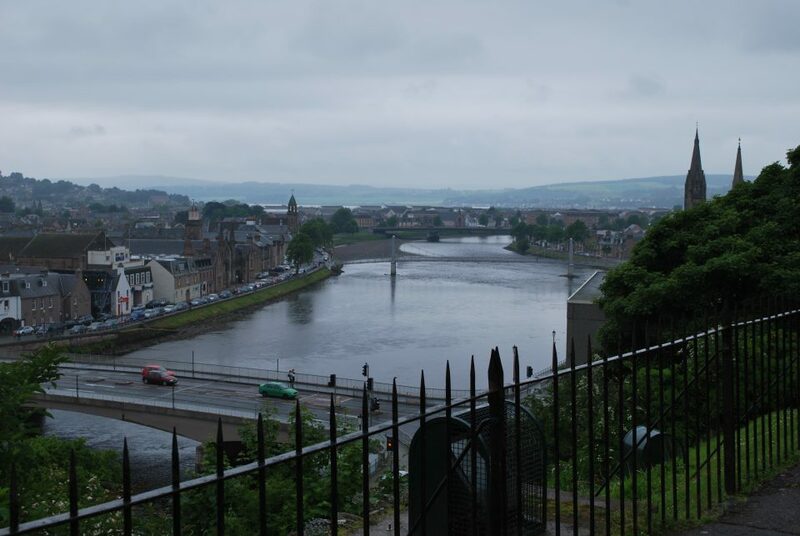 It is a lovely little city based on the River Ness. I really enjoyed walking along the river and over the bouncy footbridge despite the rain. The walk gives you a good view of the castle and some historic houses. 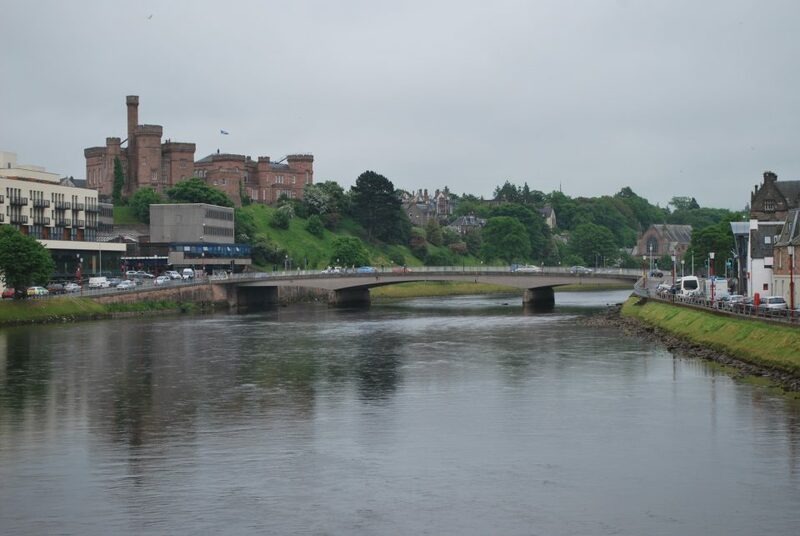 To get a better look at Inverness Castle we took a walk up the riverside hillock. You can’t get inside the castle as it acts as the Sheriff’s Court but the exterior is quite impressive anyway. After some persuasion from my girlfriend, the city centre was the next stop. All the shops are based on a few streets and in a modern shopping centre. On the way back to Drumnadrochit I enjoyed looking at the views of Loch Ness but still can’t for the life of me find a way down to its shores. The only solution I can find at the moment would be to roll down the steep banks next to the road. The legend of the monster that is said to dwell within the depths of Loch Ness obviously draws a lot of visitors and the shops have taken full advantage of this with an array of Nessie merchandise readily available. Did you roll down? Have you seen about 12 Nessies so far? Did you buy me Nessie merchandise?